This festival will be jumping with lively Cajun sounds presented by the Lake Charles Chapter of the Cajun French Music Association. 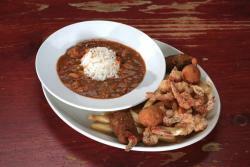 Savory Cajun specialties like jambalaya, gumbo, cracklins and more will be in the gumbo pot along with Cajun spices that have pleased taste buds for centuries. Other festival highlights include raffles, arts and crafts booths and games for kids. Raffle prizes include everything from an accordion to a live hog! This festival originated to support the community, especially kids, through non-profit organizations. Music isn&apos;t all that goes on during the Marshland Festival; there is be a business expo, arts and crafts for sale, activities for the kids and more, including food! 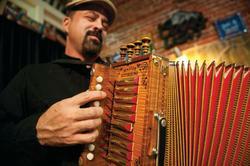 Southwest Louisiana is known for flavorful fare and hot music, and this festival gives you a taste of both. Arts & Crabs Fest stresses the importance of investing in local products - art, music, restaurants, and, of course, local seafood. It brings tourists to the area and lets them experience our greatest natural resources: seafood and culture. This is a ticketed event held in August, so pay attention to when tickets go on sale, as it sales out every year. 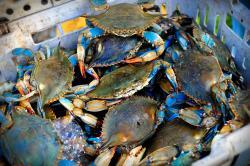 For more information on Arts & Crabs Fest, contact the Arts Council at (337) 439-2787. Usually held in September, the St. Theresa&apos;s Bon Ton Festival is a local tradition. 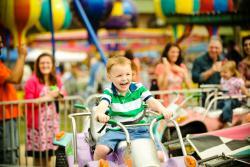 This is a family-friendly festival and known for its music, rides and especially food. They will also have bingo, live and silent auctions, a country store, sweet shop and garage sale. There will be a covered pavilion with plenty of room for dancing, eating and visiting. There is also a 5K run for kids! 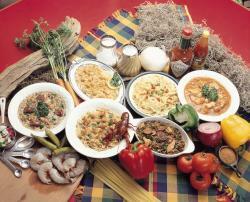 Here in Louisiana when you hear the word "festival" you think of food, music and dancing. Well the annual Calca-Chew Food Festival offers all that and more! Representing the best of both our parish and our delicious Cajun cuisine, the festival focuses on our Cajun heritage and provides an alcohol-free family atmosphere. There will be auctions, live entertainment, a French mass and of course-great food!